Celebrate Local History Month (May) with a one-of-a-kind T-shirt. 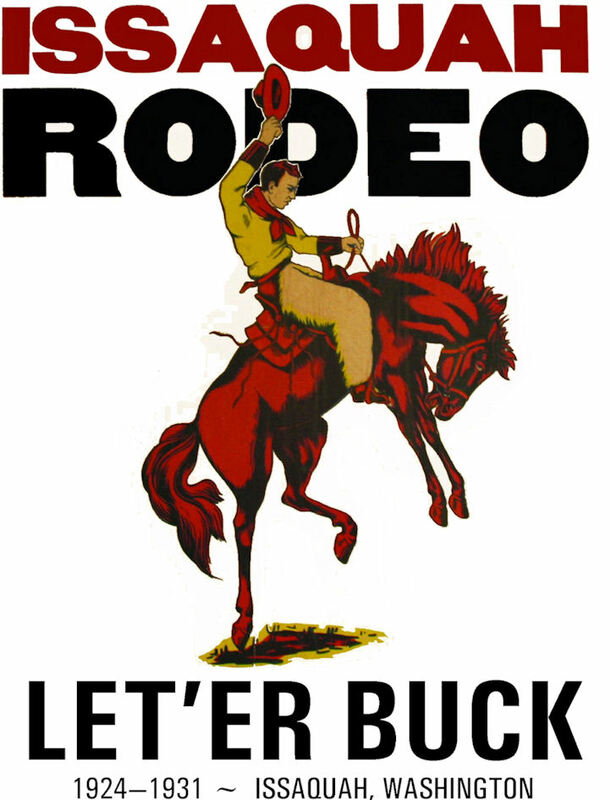 Based on a rodeo poster in the museum’s collection, this T-shirt commemorates a chapter in Issaquah’s history. Yes, Issaquah actually had a rodeo! Imagine horses racing each other down a dusty Front Street, or townspeople competing with trained riders in rodeo events at Veterans’ Memorial Field. You must order shirts before April 25 in order to guarantee availability. Shirts will be available for pick-up (shipping also available) by May 1. You may order via Paypal (below) or by using this form. Are you a member of the IHM? Yes – please refund 10% after verification. * Members using Paypal: Once membership status is verified, we will refund the difference in price from your order. Not sure of your membership status? Contact us.